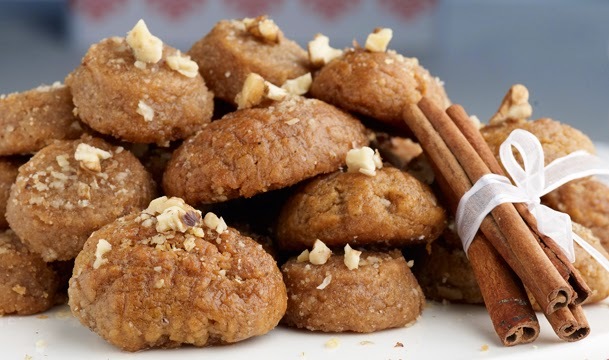 - "Melomakarona" Greek honey cookies with syrup. Christmas sweet! "Mediterranean Diet Recipes with Olive Oil"
As I promised to my internet friend Agatha Redondo, I will guide you with step by step recipes for the Christmas table. For me as a child the Christmas holidays always started from the smells that came from my mother's kitchen. Always start with the pastries which placed them in plates next to Christmas tree, and of course never leave us to eat before Christmas Day, but the prohibition isn't an obstacle standing in our way. Category: Mediterranean Diet, Athens recipe. 1. 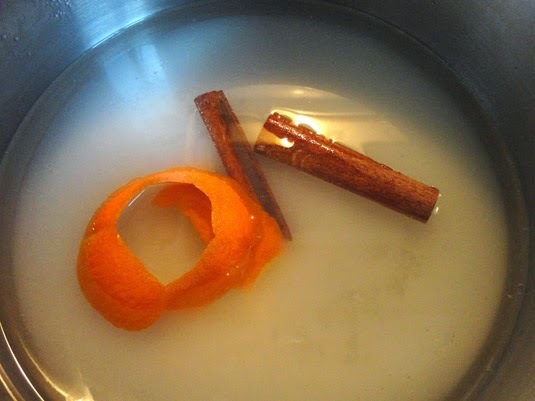 In a saucepan, add the water, sugar, the peel of orange and cinnamon sticks. Stir once at the beginning and put the pot on the fire (because the sugar is more than water, syrup can be like a rock if we stir constantly). Boil for 1-2 minutes (counting the time from the time starts to boil). 2. Remove from heat, add honey, and stir. 3. 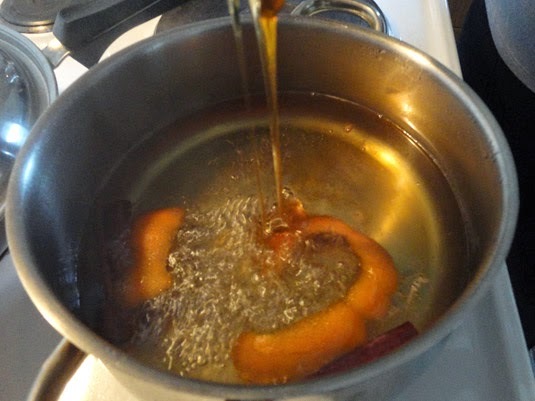 Remove the orange peel and cinnamon and put syrup aside to cool. 1. In a deep bowl, pour liquids, that is orange juice, olive oil and melted butter (put only for the aroma if you prefer, otherwise skip it). 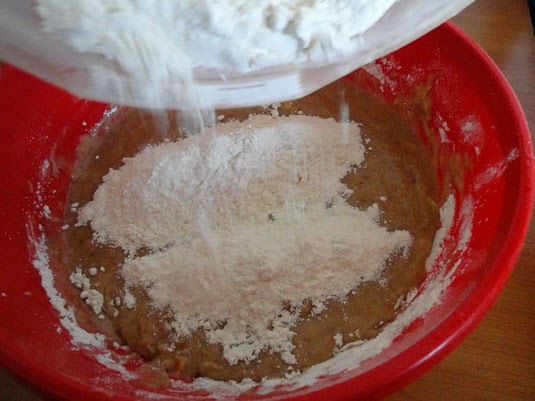 Add baking soda, cinnamon and cloves and mix a little with the hand (never with mixer). 2. 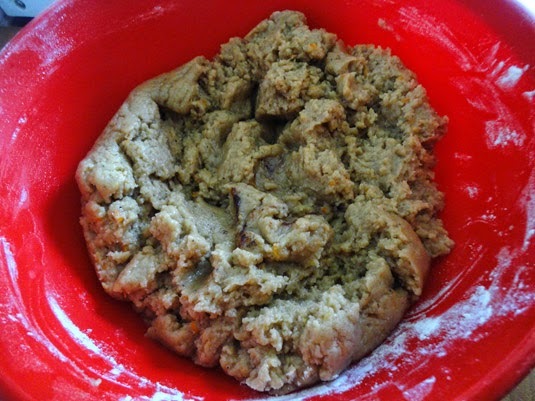 Add the flour and caster sugar and continue stirring by hand from the center outwards until slightly unite the materials and become a very soft dough. 3. No need to worry though in some places over the dough seems no flour is not incorporated, nor should insist, kneading, because we do not want to tighten the dough. In fact the total shuffling takes no more than 2-3 minutes. 4. Preheat oven to 180 ° C and immediately begin to mold melomakarona as follows: We take little-little yeast and mold oval cookies. To achieve the characteristic rough draft of the surface, touching one by one melomakarona on a grid - screen, we are pushing reflected the pattern on them and we roll. 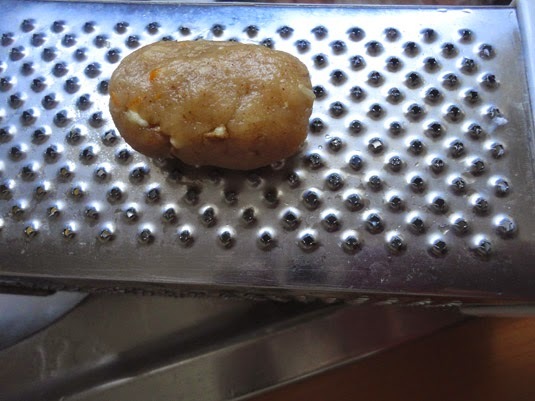 If we do not have strainer, do the same on a grater. 5. 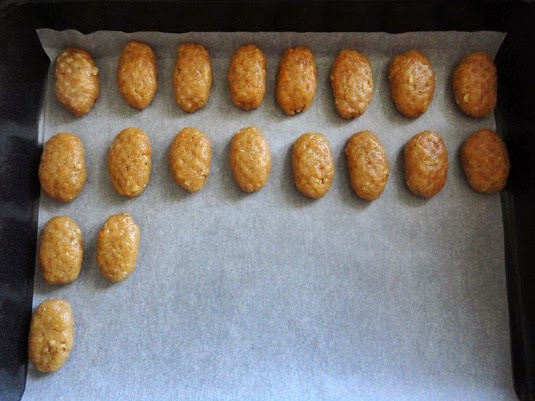 Put “melomakarona” in sheet metal in the oven on baking sheet and bake at 170° - 180 ° C, in air for about 30 minutes until they get dark golden color. 6. 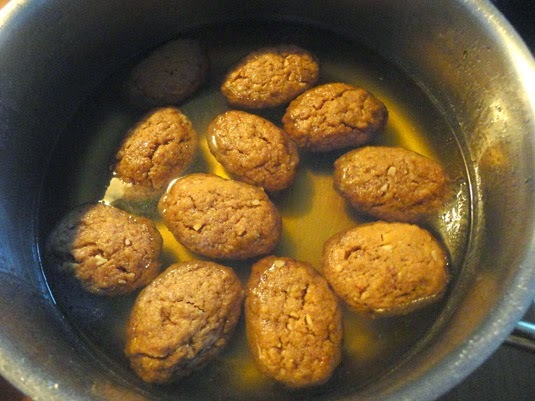 Just come out “melomakarona” from oven immediately pour a few in the cold syrup, as it is still hot (no more than 1 minute) and then take them out and leave in a strainer or shirrable to drain. 7. In a platter, add a little honey and sprinkle with coarsely chopped walnuts. 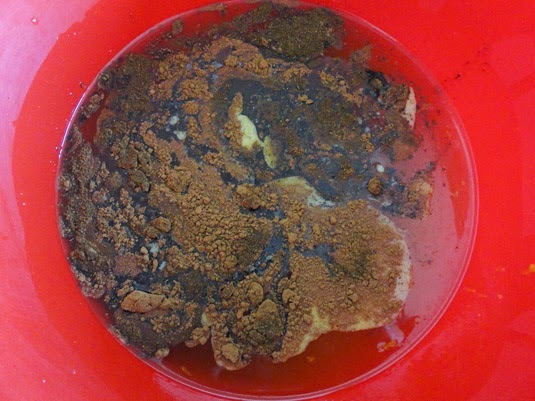 Put a layer of “melomakarona” and pour some more honey and walnuts. We continue in the same way until you run out cookies.